Giving off that genuine smile is arguably one of the most pleasant and noticeable forms of non-verbal communication that any person can do. However, if you have missing teeth, you will not be able to smile as much as you would want to. Embarrassment and anxiety will take over and make you hide your incomplete set of teeth as much as possible. As a result of your missing teeth, you won’t be able to smile or laugh as freely as you should. And consequently, this makes you miss out on the many benefits that frequent smiling brings into your life. Here are a number of wondrous effects that all make smiling more than just a sweet and simple gesture. Whenever you smile, you trigger the heightened production and release of dopamine, serotonin, and endorphins in your brain. These substances are known to be your body’s natural pain relievers and anti-depressants. That is, when these substances are present and abundant in your system, you become more tolerant to pain and more resistant to stress. As you smile more frequently, you are actually changing how others perceive you as an individual. People who smile a lot more are seen as more beautiful, more intelligent, more approachable, and more successful compared to those who do not smile as much. In addition to this, having that pleasant smile significantly boosts your capacity to connect and communicate with other people. In essence, smiling actually makes it a lot easier not just for you but for others as well. One more benefit that smiling can provide is the feeling of happiness that it shares to other people. It is contagious. Whenever people see someone smile at them, something inside their brain consequently instructs them to smile back. As a result, this fosters positive feelings that will eventually enhance their mood and disposition. Indeed, your smile can easily brighten up everybody’s day. Do not let tooth loss and missing teeth keep you from experiencing the many benefits that you and the people around you can gain from your precious smile. For top-notch denture solutions for that small gap in your smile, consult your reliable denture experts here at West End Denture Clinic. 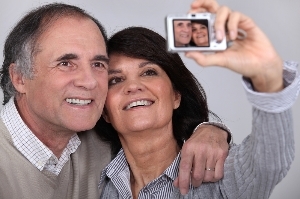 We can provide you with custom-fabricated dentures that are designed to fit your needs. 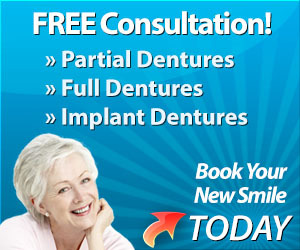 Call us today on (07) 3844 0944 or book your appointment online and claim your FREE Denture Consultation.